Wash hands. Wash all fresh, unpackaged produce under running water. Drain well. Prepare pasta to al dente. Cool pasta covered in refrigerator. 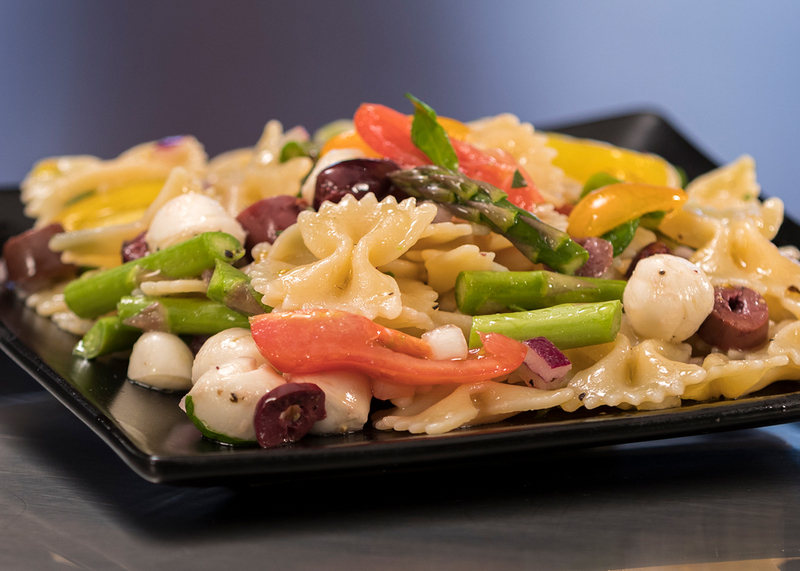 In large bowl, gently incorporate kalamata olives, mozzarella, halved cherry tomatoes, sliced red bell peppers, asparagus, onion. Add olive oil and vinegar until evenly coated. Add salt and pepper to taste. Cover and refrigerate for at least two hours. CCP: Product must be cooled to a maximum internal temperature of 41°F or less, within 4 hours.